This Saint is very obscure, there is no historical personage of any note whatsoever who was known by this name. Some have speculated that the reference may be to William I “The Conqueror,” Norman King of England (1027 – 1087 e.v. ), or to the medieval English logician, William of Shyreswood or Sherwood (died 1267 e.v. ), or to the great historian of the crusades, William of Tyre (1130-1187 e.v. ), or to the scholastic philosopher William of Occam (died c. 1349) or even to Kaiser Wilhelm II of Germany (1859-1941 e.v.) Generally, such speculations have been based on the assumption that the name “Schyren” is a typographical for some other word or name, either known or unknown. However, “Schyren” is actually an historical spelling variant of “Scheyern” (as are Scheuern, Scheiern and Skyrun). Scheyern is an ancient castle in Bavaria, located near Pfaffenhofen between Munich and Ingolstadt. It was the home of the Counts of Scheyern, who ruled a portion of Bavaria from the time of Charlemagne until 1115 e.v. When Count Otto II of Scheyern died, his wife Haziga moved into a new castle in nearby Wittelsbach; thereby changing the family name from “von Scheyern” to “von Wittelsbach.” In 1180 e.v., the Holy Roman Emperor Frederick I “Barbarossa” deposed the Duke of Bavaria, Henry the Lion, and bestowed the duchy upon Count Otto III of Wittelsbach, who became known as Duke Otto I of Bavaria. The Wittelsbach dynasty maintained official royal title to Bavaria until the abdication of King Ludwig III in 1918 e.v. The Wittelsbach dynasty produced two Holy Roman Emperors, Louis (Ludwig) IV (1314 – 1347 e.v.) and Charles VII (1742 – 1743 e.v. ), and at least one E.G.C. Saint, “Ludovicus Rex Bavariae,” Ludwig II (1845-1886 e.v.). When the Counts of Scheyern moved to Wittelsbach, they converted Castle Scheyern to a Benedictine Abbey, populating it with monks from the Abbey of Hirsau. Abbot William of Hirsau (c. 1026 – 1091 e.v.) had established Hirsau’s reputation as a center of learning, and is still remembered as a notable mystic, monastic reformer, and scholarly researcher in astronomy and music theory. There was also a prior of the Abbey of Scheyern in the mid-thirteenth century e.v. named Wilhelm, but nothing significant is known of him. Scheyern is noted for one historical event, the signing of the treaty of Scheyern on May 26, 1532 e.v. between the Landgrave of Hesse, the Elector of Saxony, the Dukes of Bavaria, and King Francis I of France, for the purpose of evicting the Habsburgs from the duchy of Württemburg. Although the “League of Scheyern” was ultimately ussuccessful in its mission, the treaty of Scheyern was probably more important for helping to establish the diplomatic reputation of the man who drafted it and signed it on behalf of Francis I, one Guillaume (William) du Bellay, Lord of Langey (1491-1543 e.v.). Guillaume du Bellay was France’s most able diplomat as well as a valiant soldier, scholar and historian. Francis I employed du Bellay in a very large number of diplomatic missions to Germany, Spain, Italy and England. 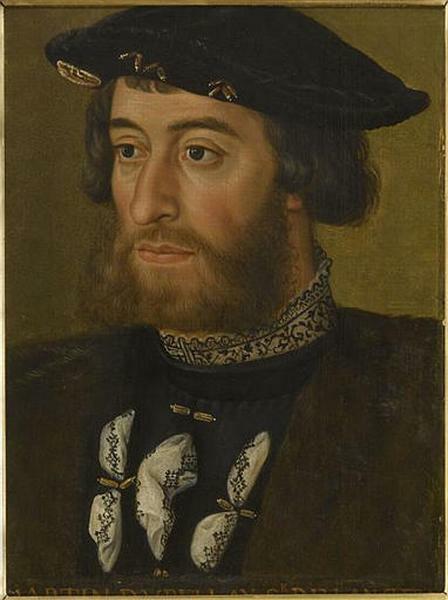 He united many of the Protestant and Catholic Princes of Germany against Francis’s rival, the Holy Roman Emperor Charles V; he also managed to obtain for King Henry VIII a favorable decision from the Sorbonne in the matter of his divorce from Catherine of Aragon. Guillaume du Bellay was also a committed humanist and an ardent protector of freedom of thought. While remaining a Catholic, he often intervened on behalf of the Protestants and the Waldenses against their persecutors. King Francis appointed him Governor of Turin in 1537, and Governor of the whole of Piedmont in 1540. He was the friend of many writers and scholars, and kept a massive library at Turin. In 1540, suffering from gout and in need of the services of a librarian and secretary, he hired the physician of his brother Jean du Bellay to come to Turin. That physician was Doctor Francois Rabelais, who stayed with him in Turin from 1540 to 1542. Rabelais quickly came to revere his patron as the model of a wise and generous ruler and a “learned and valiant knight.” He accomplished some of his best work while under du Bellay’s patronage, including much of Book III of Gargantua and Pantagruel, and this and his later works contain numerous reminiscences of his time spent in Piedmont with du Bellay. Guillaume du Bellay died in 1543 during a trip to France, and Rabelais was present. He wrote a moving account of the event in Gargantua and Pantagruel, Book III, Chapter 21 and Book IV, Chapter 27. Rabelais recalls the strange prodigies and portents surrounding the death of the knight, and tells of his earnest and lucid death-bed discourse in which he predicted many of the events which would befall France in the coming years. Rabelais later wrote a book about the high deeds of Guillaume du Bellay, which has, unfortunately, been lost. Guillaume du Bellay, Lord of Langey, who may have been our illustrious “William of Schyren,” is interred in the Cathedral of Le Mans.